Ever since it came into being, IMXA has organised and run local and international conferences and similar academic meetings on subjects relating to the history, archaeology, culture, and modern political, social, and economic problems of the wider region of south-eastern Europe and the Mediterranean. Since the 1960s, it has been holding regular symposia on ancient Macedonia (the first one in 1968), Greece's bilateral relations with the other Balkan nations (the first, Greek-Serbian, symposium was in 1976), and the folk culture of the region (the Pan-Hellenic symposium on the folklore of northern Greece was held in 1975). However, IMXA's international scholarly meetings frequently transcend the narrow local confines of the Balkan Peninsula and concern European or even global issues (the first Greek-Soviet symposium was held in 1981). 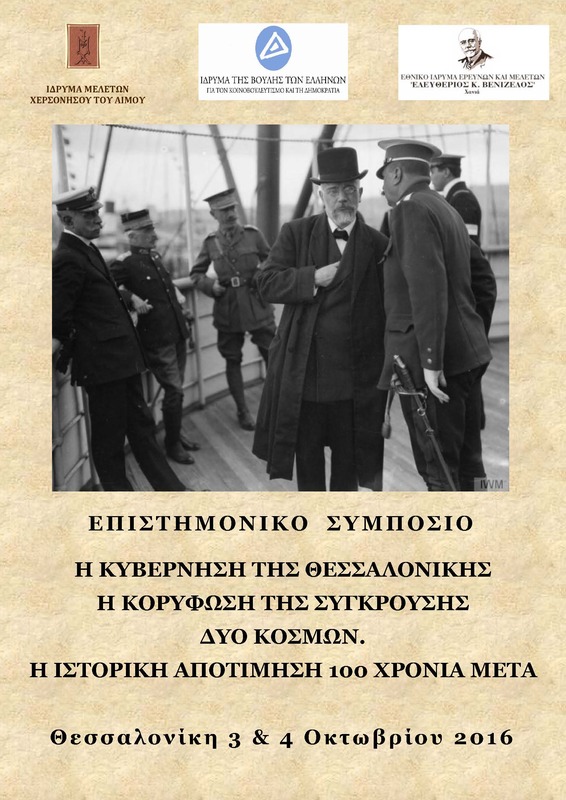 With the support of the Macedonian Annex of the National Research Foundation "Eleftherios K. Venizelos"
With reference to the commemoration events regarding World War I, which are being held throughout the world on the occasion of the lapse of a century since it broke out, the scientific community of Thessaloniki paid appropriate tribute to an occurrence that marked indelibly both the history of the city and the surrounding area. 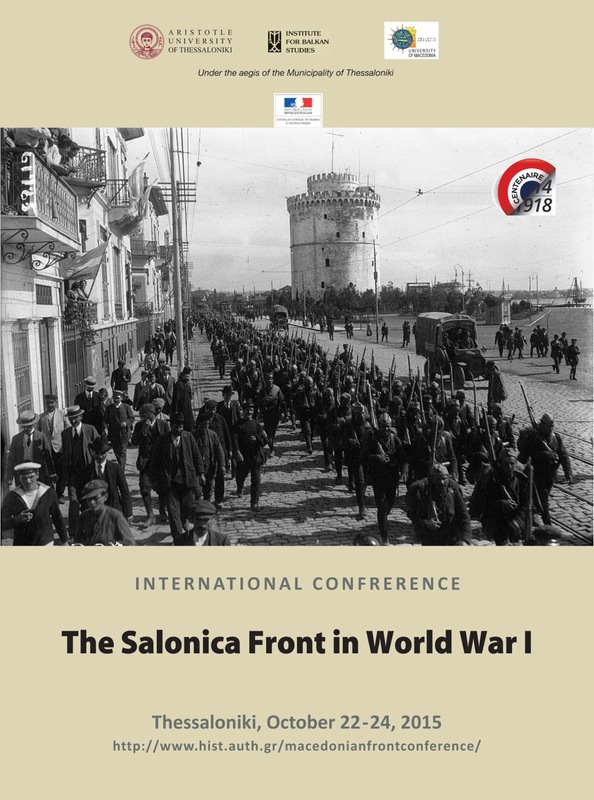 More specifically, the Aristotle University of Thessaloniki, the Macedonia University and the Institute for Balkan Studies, with the active participation of the French Consulate General in Thessaloniki, jointly organized an international scientific symposium on: "The Salonica Front in World War I". 38 participants from 12 different countries joined the Symposium (France, The UK, Germany, Austria, Russia, the USA, Serbia, Bulgaria, Romania, FYROM, Hungary and Greece). The occasion for the carrying out of the work was the completion of a century since the arrival of the first Allied troops in Thessaloniki on 5th October 1915. This Symposium constitutes the central contribution of the scientific community of Thessaloniki with regard to the acts of remembrance for World War I. In the present website you will be able to find all the information pertaining to the schedule of the work, the speakers, related bibliography, as well as plenty of audiovisual material. “The Greek Civil War. An Appraisal.